Stelter and Brinck’s Paste Heaters are equipped with combustion blower. Stelter and Brinck’s Paste Heaters are used to preheat SAF’s electrodes. Unit features high turn down burner, controls and valve train. These prewired and pre-piped products enable user to reduce voids in the electrodes. Heaters come with electrode columns. Stelter & Brinck has a new addition to the website: Paste Heaters (found here: https://www.stelterbrinck.com/paste-heaters.htm). Stelter & Brinck’s Paste Heaters are used in conjunction with Submerged Arc Furnaces; they preheat your SAF’s electrodes for better melting of Soderberg paste. By increasing heat transfer from electrode columns to the paste, these gas-fired systems reduce voids in the electrodes. 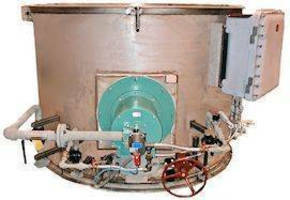 S&B’s paste heaters feature a high turn down burner, combustion blower, controls and valve train. They are self-contained, arrive onsite prewired and pre-piped, and are easy to use and install. Like all process heat equipment that leaves Stelter & Brinck’s facility, the gas-fired paste heaters are rigorously tested and/or tuned prior to shipment. In addition, maintenance is easy with S&B’s Preventative Maintenance Program! Stelter and Brinck's Paste Heaters are equipped with combustion blower. 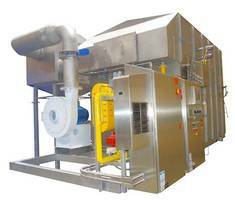 Nozzle/Shroud Preheaters are custom built to requirements.